Personally, when it comes to giving gifts, my top choices are Ang Paos (Chinese red envelope with money inside), adorable clothes and hi-tech toys. It’s been like that every year, whether it’s for birthdays, Christmas or other special occasions. Recently, I found a wonderful shop specializing in personalized gift items. Sounds interesting, right? From story books, coloring books, notebooks, wall arts, placemats and wrapping papers, they can personalize these items to make the celebrant (or your child) the star of his or her own adventure. Ok, how cool is that? Actually, I think their products are great party giveaways – it’s special, fun and one of a kind! Enter, “Look It’s About Me” shop. “Our personalized books feature unique details about the child that make him/her the star of their very own story, while promoting bonding opportunities with family members, the love of reading and enhancing the child’s self-confidence. On top of all of this, it is the perfect gift as it is a treasured keepsake for the child. Personalized items are a trend now and our custom-made books combine the quality of hardcover picture books with a meaningful personalization. In fact we don’t only publish personalized books we also make other personalized gifts for children such as coloring books, placemats, wall art prints as well as notebooks. My children love the personalized books I got them a couple of years ago. Wow! They can customize almost anything! Awesome! You give me an idea on what to give my dear apo on his birthday. Personalized books and coloring books, that’s great . To be honest, I haven’t really tried giving personalized presents to family and friends. I might just start that trend this year, and yes, I’ll surely visit “Look It’s About Me” shop soon. Hi. My son is turning 3 on September 5. You may place your order directly on their website. Thanks! 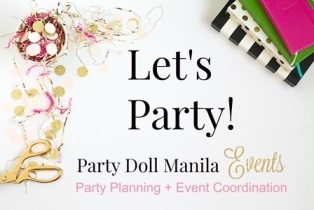 Hi, I found your post on Pinterest and I would like to inquire about personalized gifts and personalized party giveaways for my daughter’s 1st Birthday party. Thank you.